Recently, CNAICO vice president Qiao Gong and JATCO Co., Ltd vice president Morihiro Shinji had a meeting with Geely vice president Zhao Fuquan. The two sides discussed about the ongoing project, exchanged views on the further work plan. After the meeting, vice president Qiao Gong and JATCO Co., Ltd vice president Morihiro Shinji paid a friendly visit to Geely Automobile Research Institution and had a test driving on some developing Geely passenger cars. 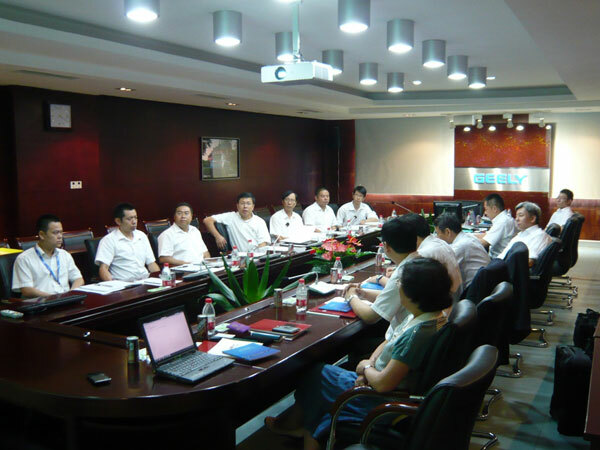 CNAICO and JATCO established the international business strategic partnership in 2010. Adhering to the concept “Serve the car makers & Serve the car users”, CNAICO had already made a huge progress on developing the domestic passenger car market.